We just received our first delivery of the Mean Green battery powered commercial lawn mowers and we made our first delivery to Valley Crest over at the Google Campus. Shout-out to Zack Mersch who flew-out from the Mean Green World Headquarters in Cincinnati to help make the delivery and demo. 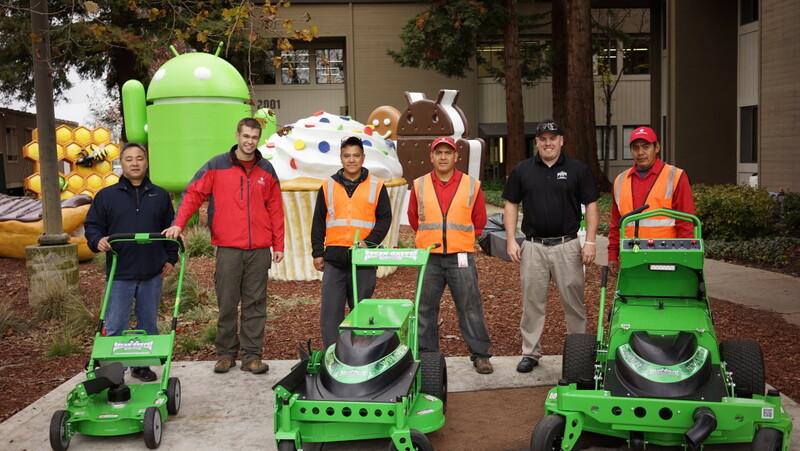 The crew at Valley Crest are going to use the MGP-20 Cordless mower, the WBX-33HD-900 Walk-behind mower, and the Stalker Stand-On mower at the Google campus. We are super-excited to become an authorized Mean Green dealer and make these awesome lithium battery powered machines available to our customers. Stop-by Gardenland for a demo and see for yourself how incredibly well-designed these commercial lawn mowers are designed and manufactured. Call 408-377-4496 or submit a request below for a Free demo.